Before Batman became the Caped Crusader, he was just a kid with huge obstacles that he needed to overcome. Even as an adult, he must manage to be a super hero with no super powers. Through sheer courage and determination, he was able to conquer many of his fears and then go on to fight against them. By using relevant stories about Batman you can help your kids learn the value of courage and determination. Batman is known for his extreme bravery and courage. However, it wasn’t always this way. After the tragedy with his parents, Bruce Wayne was left with a deep-seated fear of the dark. When he fell into the Batcave, he was forced to come to terms with his fear, and realized that the dark could not actually hurt him. By accepting this, he was able to emerge from the Batcave braver and stronger than he was when he came into it, and he went on to become one of the most courageous super heroes of all time. If your child is afraid of the dark, reading them Batman comics about how he overcame his fears can help them. Explain to them that just like Batman realized, while the darkness can be scary, it can’t actually hurt you. 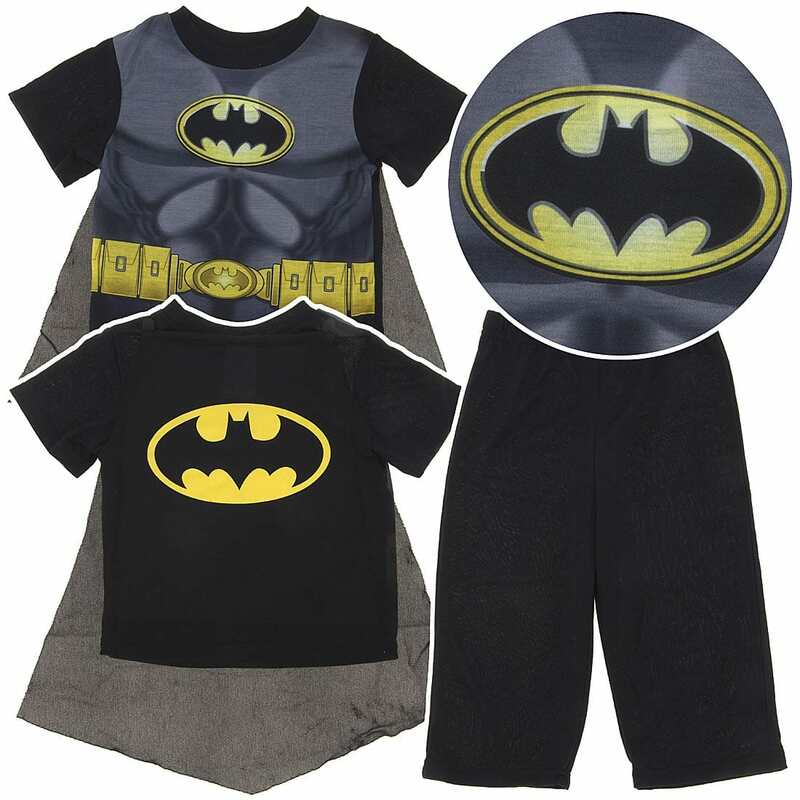 Another thing that could help your child gain confidence at night is to give them a set of kids Batman Pajamas to remind them that they have no reason to fear the darkness. While Superman was an alien with incredible strength and x-ray vision, and Spiderman can climb walls and shoot webs, Batman was not born with any special abilities. Rather, he became a superhero through dedication and determination. By training himself in all sorts of martial arts and exercising relentlessly, he became a man of enormous strength and talent. Because he worked so hard at improving himself he can compete against those with superhuman abilities and recover from anything they throw at him. If your child is worried about trying a new activity or sport because they don’t think they will be good at it, explain to them how Batman was not born with any super powers, he still keeps up with those who were. For example, if they are going to try out for a sports team, or falling behind in a club they are in, let them know that with enough training and practice, they can be just as good as someone who was born extremely athletic or talented. Use this as a way to motivate your kids to push ahead and keep trying harder. Batman can’t fly, but he sure gives Superman a run for his money. Batman became a world famous crime fighter by working hard and being brave, not by turning into the Hulk or getting bitten by a radioactive spider. Let your kid know that hard work will not give you the ability to fly, but with enough determination you can become super-skilled at almost anything. There are countless times where Batman is in a situation with no easy way out, but through sheer determination and resourcefulness, he almost always succeeds. For example, in The Dark Knight Rises he breaks out of a seemingly inescapable prison after spending months concentrating on his escape. Or, when Batman works hard and asks for help he always manages to solve the puzzles left by the Riddler, which Gotham City’s entire police department failed to crack. Batman constantly encounters obstacles require the help of technology, friends and sometimes even enemies. However, when this happens, he does what it takes to solve the problem, even if he has to ask for help, and he never gives up. Almost every kid has times when they are frustrated or intimidated by a subject at school because they “don’t get it.” Similarly, Batman is constantly in situations with no easy answer. His determination and resourcefulness can be useful to teach problem solving skills to kids. Sometimes the solution is as simple as asking a teacher to go over something and explain it again, other times they will need to use a variety of resources like books, or online research before they will fully understand it. The important part is that they realize that no matter how hopeless it seems, just like Batman, they can solve any problem they are confronted with. With no superpowers and strictly human heritage, Batman is not your typical superhero. He has to combat every challenge with his brain, body and spirit, and through his courage and determination, he always comes out on top. By using him as an example for your child, they may become braver and learn the value of persistence too.